Tomatoes are in season during the summer, and I see them everywhere at the farmers market. There are many different varieties of tomatoes all with slight different taste and texture. Tomatoes have lots of great nutritional benefits. It is rich in antioxidants (including lycopene, zea-xanthin) that is important for your body to fight against cancer. Lycopene in particular is important for your skin and is known to have protective effect against UV rays, which can help to decrease your risk of getting skin cancer. It is a great source of vitamin C (see my previous post on vitamin C rich foods), potassium and vitamin b-complex. Add tomatoes, cucumber, garlic, honeydew and olive oil into the blender. Pulse until there are no more big chunks in the mixture. Transfer the mixture into a large bowl, place and cover it in the refrigerator x2 hours or overnight. When the gazpacho is ready to be served, add salt and pepper after plating. I love beets! They are nutritious, filling and delicious. 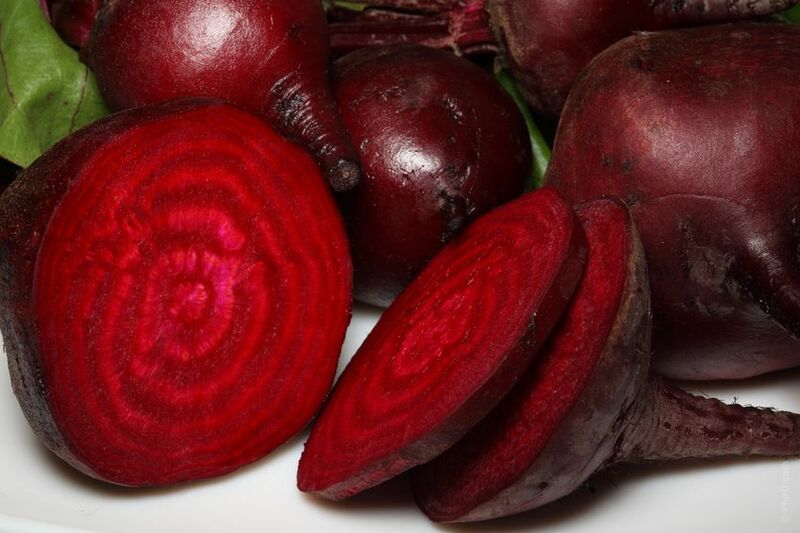 Beets have natural nitrates, which lower your blood pressure and improve blood flow. They also contain high level of antioxidants and their anti-inflammatory properties make them a powerful protector against cancer. The fibers in beets (and carrots) are beneficial for our digestive track (help to fight against colon cancer) and support our cardiovascular system. Here is a recipe for a fast and easy marinated beets dish that packs in a lot of flavor. Perfect as a side dish and great addition to a salad. Portable and chilled, this beet dish is great for pot luck or picnic as well. Cook the beets (peeled) into a saucepan filled with water, and bring it to a boil in medium heat. Once the water is boiled, turn the heat to low and let the beats simmer for another 15 minutes. Note: avoid overcooking as they will be in the skillet later. Remove the beets and cut them into cubes. In a skillet, cook the cut onion and garlic in olive oil until they become translucent. Add the cut beets, then season with salt and pepper. Toss the mixture for ~3 minutes. In a separate bowl, combine the vinegar, sugar, olive oil and water together, and whisk the mixture until the ingredients are properly mixed. Place the cooked beets/onion/garlic into a sealable container, and pour the vinegar mixture over it. Let it marinate in the refrigerator for ~1 hour, and it is ready! Pumpkin season is in full bloom. So what is the best way to use up all those left over pumpkin seeds? Roast them! Pumpkin seeds are a great source of zinc, which is important for a healthy immune system and for vision. Pumpkin seeds are also rich in magnesium, iron and antioxidants. There are a lot of ways to season pumpkin seeds: spicy, salty, sweet…or all of the above! I want to share my favorite ways…feel free to experiment with how much of each seasoning you prefer. Add the sea salt and coat all the seeds evenly. Then, do the same with the rest of the seasonings. Spread pumpkin seeds in a single layer on baking sheet. Bake for about 20-30 minutes, stirring occasionally so that they roast evenly. I’ve been eating so many strawberries lately. They are all over farmers markets, and restaurants are serving up a healthy dose of strawberries in every dessert they are making. Similar to blueberries and raspberries, strawberries are a powerful source of antioxidants. One easy and healthy way I like to add strawberries into my daily food is by adding it to oatmeal, yogurt, or chia seed pudding. Chia seed pudding is made from chia seeds and a nondairy milk of your choice. Chia seeds are also a powerful antioxidant packed with protein, omega-3 fatty acids and fiber. Remember that strawberries are part of the dirty dozen with one of the most pesticides residue, so make sure you only buy organic. Combine all the ingredients in a pint jar. Cover the jar with a lid and give it a vigorous shake. Don’t use the blender, since it will crush the chia seeds. Let chill for at least 4 hours, preferably overnight. Chia seeds will expand and turn into pudding the consistency of applesauce (it won’t get really thick). Serve with extra sliced strawberries on top. Nothing like soups to warm you on a winter’s night. This cauliflower and mushroom soup recipe is super fast (~takes just 10 minutes) and healthy too! Cauliflower, a cruciferous vegetable, is rich in antioxidant and phytonutrients. Mushroom, another nutrition powerhouse, will boost your immune system and is a great source of selenium and B vitamins. Saute the garlic and onion in a saucepan oil for about 2 minutes. Add cauliflower and mushrooms, saute for another 5 minutes. Add the vegetable stock to the mix and bring to a boil. Reduce heat to simmer until cauliflower is tender. Pour the soup into a blender. Blend until smooth (I use a vitamix and I blend for about 20 seconds on high). You can also blend at a lower speed if you want the soup to be chunky. In my last post, I passed on a dinner recipe involving plenty of delicious cruciferous vegetables. This time, I’d like to discuss their many health benefits. Cruciferous vegetables like broccoli, cauliflower, cabbage, kale, arugula, collards and bok-choy get their name from the cross-like shape made from four branches coming off their stems. They’ve also recently gotten some impressive press for having cancer preventive properties that come from glucosinolates, the sulfur compounds that give broccoli and other cruciferous veggies their pungent taste. The most well-known of these is the compound sulfurophane. Sulfurophane is purported to detoxify cancer-causing compounds before they enter cells. Antioxidants in cruciferous veggies also detoxify free radicals, which are the culprits behind the DNA damage that causes cancer. They’re also proven to have anti-viral, anti-bacterial and anti-inflammatory properties. Sulfurophane induces cell death in cancer cells. It also inhibits tumor blood vessel formation (which cancer cells need to live and grow), and tumor cell migration (which is how cancer cells spread). Sadly, studies that show a definitive link between eating cruciferous veggies and a decrease in specific cancers are few and far between. But all cruciferous veggies fall into the “dark-green vegetable” category, and the extensive benefits of eating your greens is well and thoroughly documented. When these veggies are eaten lightly steamed or raw, more of the nutrients remain preserved. When you blend cruciferous vegetables, the enzyme myrosinase is released, which converts glucosinolates to their active version. 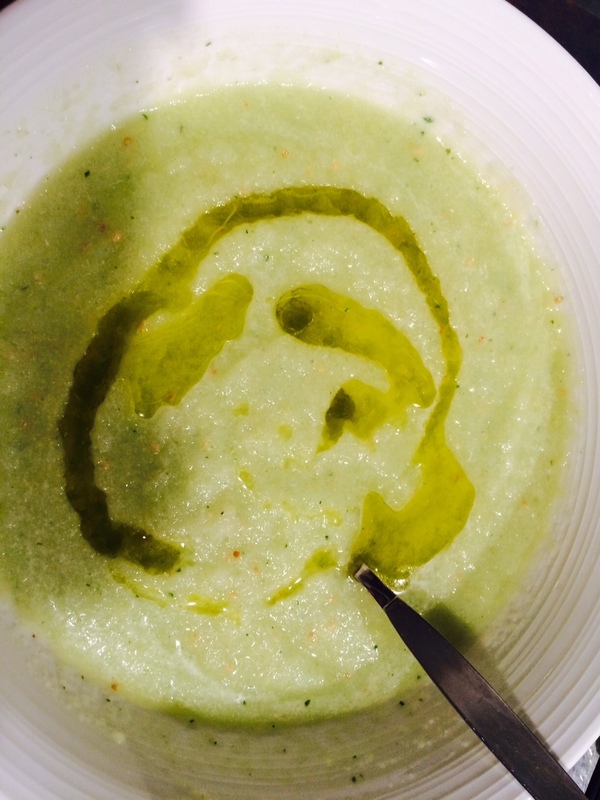 Consider blending cruciferous veggies and then using them in cooking as a base for stews, soups, curries and gravies. Written by Deepa Sannidhi, MD and Bill Lagakos, Ph.D.